Every Christmas season my family and I get excited because it gives us (along with other families) another opportunity to reach out to homeless people in our area by providing them with basic essential items to help them through the harsh winters. We have named this ministry Operation Christmas Backpack. 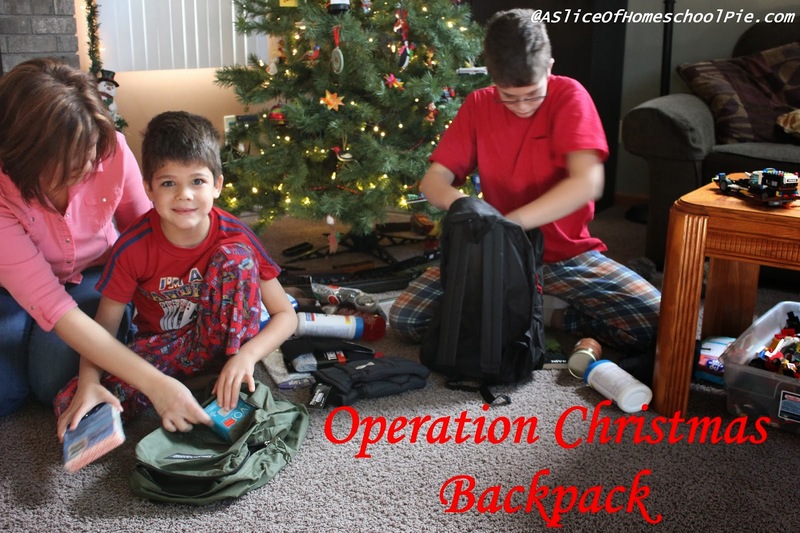 To learn more about this ministry and the steps you can take to start an Operation Christmas Backpack in your hometown, read my article recently published on Hip Homeschool Moms here. If you participate in some kind of an outreach program to help the homeless, please tell us about it under the comments below. I'd love to read it!